Major Hurricane Lane, a 145 mph Category 4 beast in the central Pacific, continues to drift dangerously close to the main Hawaiian Islands today and Friday. 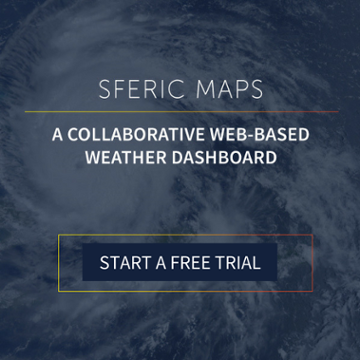 The image above shows Lane on our weather visualization tool, Sferic Maps. Right now, you can get a free 30-day trial to help track Hurricane Lane. 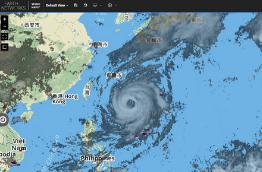 Play around with the different weather data layers and send us your best shots on Twitter. The warning includes the highly populated Honolulu metropolitan area and Pearl Harbor. Hurricane Watches also stretch across Kauai and Niihau. As of 11 pm HST (5 am EDT), Hurricane Lane was located near 16.3 N, 159.W. This is about 235 miles south of Kailua-Kona on the Big Island. It is also about 350 miles south-southeast of Honolulu. Lane has top sustained winds of 145 mph. This makes it a Category 4 hurricane on the Saffir-Simpson Hurricane Wind Scale. Lane is moving northwest at 7 mph with a minimum central pressure of 939 mb, or 27.73 inches of mercury. Residents and tourist should prepare for tropical-force to hurricane-force winds starting early today. This could make travel difficult to impossible and cause damage to trees, windows, and unanchored homes and businesses. Coastal flooding, battering waves, and storm surge are likely. 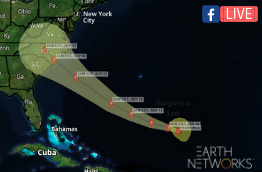 Coastal residents should continue to heed officials’ messages and evacuate if ordered. On Tuesday, Hawaii closed all public schools on the Big Island and Maui “until further notice.” Officials have also given non-essential state employees liberal leave. Lane will slowly weaken over the next day or two as it encounters more upper-level wind shear. This would likely make the storm a Category 1 or 2 on the Saffir-Simpson Hurricane Wind Scale by midday Friday. Hurricane Lane will also switch to more of a westerly direction by Saturday. However, it will still remain very close to the western chain of Hawaiian Islands. Lane is the second hurricane to threaten Hawaii this month. Earlier in August, Major Hurricane Hector passed to the south of the Big Island before weakening over the northwest Pacific. Believe it or not, tropical systems rarely impact Hawaii. Only 61 storms affected the state since records began in 1949. Although Hurricane Lane is making things difficult for people in Hawaii, hurricanes and tropical storms rarely impact life on the islands. We know it seems strange at first. After all, Hawaii is a “tropical location.” isn’t it? While the lush forests, beautiful beaches, and breathtaking mountains make it seem tropical, Hawaii actually has a protective shield. This shield consists of colder water and strong upper-level winds. Together, these conditions keep most storms at bay. That said, the Aloha State is not immune to hurricanes and remains exposed to storms that arrive from the south. 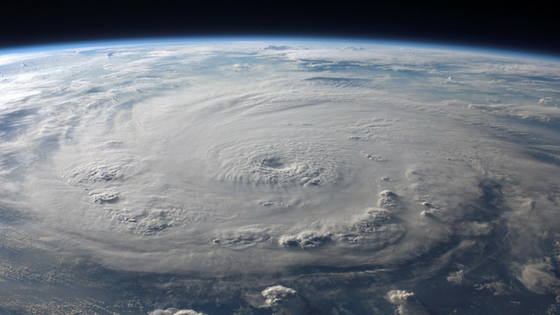 In general, hurricanes and tropical storms thrive on the warm weather of the tropics. Sea-surface temperatures of 80 degrees are typically required to maintain a hurricane’s strength. During the summer months, Pacific water temperatures this warm are found along the Mexican and Central American coast as far north as southern Baja, California. Further off the coast, the deep Pacific Ocean Circulates cooler water up to reach the surface in a process known as “upwelling.” Hawaii is located o the edge of one of these deep ocean trenches which stretches for about 1,000 miles to the east. As a result, some weather off of the Hawaiian Islands is as warm as the upper 70s. While these water temperatures are comfortable for swimming, they are poison to most hurricanes. Generally, tropical trade winds direct a hurricane or tropical storm from east-to-west. As colder water interferes, hurricanes become increasingly susceptible to winds from any direction. This process weakens the storm by essentially tearing it up. Thus, a storm traveling directly from the east towards Hawaii stands little chance of surviving its journey across the cool central Pacific. This was the path attempted by Hurricane Felicia in early August 2009. At one time, Felicia was a monstrous Category 4 hurricane with winds of 145 mph. 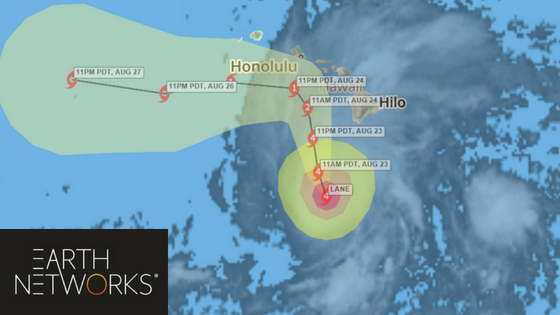 This prompted landfall concerns as it spun westward towards Hawaii’s Big Island. However, as Felicia crossed the central Pacific, it slowly started to weaken over the cooler water. Then winds pulled it northward and shredded it about 400 miles east of Hawaii. By the time the storm approached the state, it possessed little of its former power. 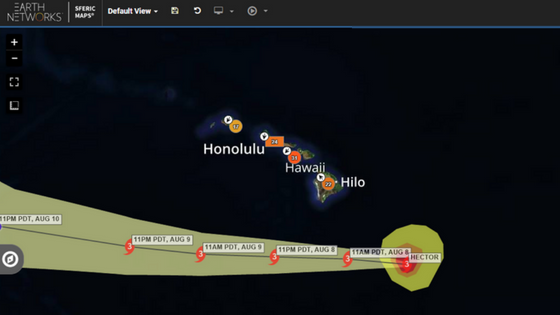 Another storm, Hurricane Iselle, took the same path in 2014. This onetime Category 4 storm maintained some strength while over the eastern Pacific and made landfall on Big Island as a tropical storm. Iselle caused one death from flooding and almost $80 million in damages. Two years later, Hurricane Darby moved westward across the eastern and central Pacific. It became a Category 3 hurricane with winds of 115 mph. By the time is crossed the cooler water east of Hawaii, the system was a weak tropical storm. It made landfall near Pahala on the Big Island and produced flash flooding, which caused minor damage on Big Island, Maui, and the greater Honolulu area on Oahu. That same year, Hurricane Madeline took a similar path as Darby and Iselle. 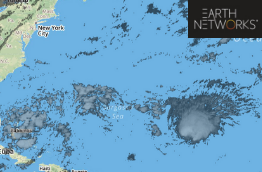 Madeline weakened as it moved over cooler waters approaching the state. Some storm surge flooding and heavy rain occurred on the eastern side of the Big Island, but no injuries or deaths were reported. This is not to say that Hawaii is completely protected from tropical storms and hurricanes. There is one direction in which the Islands are susceptible to a hurricane invasion: From the south. About 500 to 750 miles south of the Hawaiian Islands there is a pool of warmer water in the Pacific. If a hurricane that forms and moves due westward about 600 miles south of Hawaii it can maintain its strength into the central Pacific. If winds direct the storm northward towards the Islands, it has a chance to survive and do a lot of damage. Hurricane Iniki took this path in 1992 and made landfall as a Category 4 hurricane, packing winds of 140 mph across Kauai. Iniki damaged nearly 5,000 homes and completely destroyed another 1,400. For continuing coverage of Hurricane Lane and more information about Hawaii and hurricanes, please subscribe to our blog and stay tuned to our weather experts. If you have any questions for our awesome meteorological team, please leave them in the comments below or tag us on social media.